The Tour of Innsbruck showcases the stunning routes set in the Austrian Alps. Released in August 2018, Innsbruck-Tirol allows everyone to experience what the pros will race at the 2018 UCI Road World Championships. Called the “toughest course ever in Road Worlds,” with an intense 8km climb, our goal was to replicate the course meter-for-meter. Ride it and you’ll spot tons of landmarks to keep you happy in the saddle. There’s the historic Kufstein Fortress. The snow-capped Nordkette mountains. And who can miss the green-leaved Giant from the Swarovski Crystal Worlds by the KOM archway? The stone-faced sculpture is a spitting image of its IRL brother. 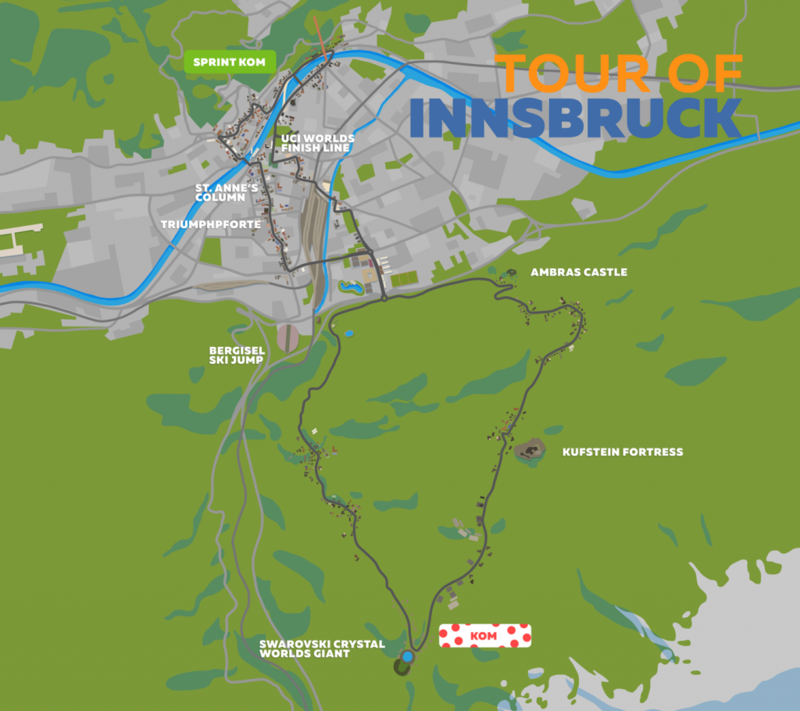 Discover them all and more on the Tour of Innsbruck. Click on the image below to explore the route. Click on the image above to explore the route.